With so many cars on the road in the United States it is no wonder that there are so many car accidents. Statistics show that there are more than 70 million cars on the road at any one time and the average number of car accidents in the U.S. every year is 6 million. Unfortunately more than 90 people die in car accidents every day while 3 million people are injured every year. Also, around 2 million drivers in car accidents experience permanent injuries every year. With these terrible statistics being the reality, each of us needs to understand that being in a car accident is likely at some time during our lives. And, with this fact in mind, we need to know what to do if we are a victim of a car accident. IF you find that you have been a victim in a car accident, you should contact a reputable law firm to understand your rights and how you can get compensation for your injuries, pain and suffering, medical bills and loss of wages. Calling the law firm will also help you to learn more about these types of cases. Here are some of the vital things you should do immediately after or as soon as you are able following a car accident. If it is a serious accident you need to immediately call an ambulance. 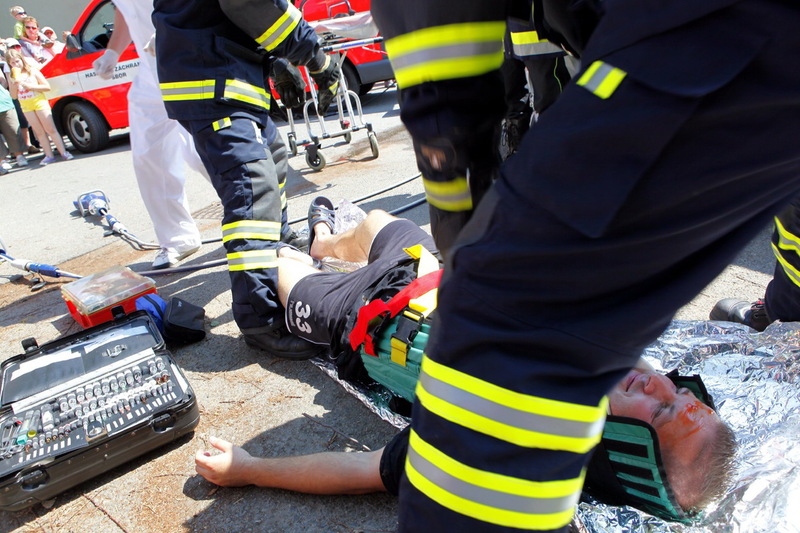 Chances are someone including you might be seriously injured. You need to have medical personnel there as quickly as possible. So do not assume that someone else has already called, take the lead and do it. The operator will let you know if an ambulance is on the way and will also take specific details about anyone you know who might be injured so the emergency medical team will be prepared. Calling the police is a vital step after you have been in a car accident. A policeman can function as a credible independent recorder of events. The policeman will do a police report based on what he or she observes at the scene. This will include the state and position of the vehicles, if any of the drivers is under the influence, what any witnesses have observed, and the exact location of the accident. Because a policeman is professionally trained to write these type of reports, they can be admitted into evidence in court as an accurate record of the events. This report will also be used when you file a personal injury lawsuit against the driver who caused the accident. You should locate anyone who was involved in the accident and take down all of their important details. These should include their name, address, phone number, license, license plate, email address and insurance information. You should take pictures of their license, insurance card and license plate as well. While at the accident scene make a personal account of everything that happened. It is best to record this into your phone and take pictures of everything as well. Memories are faulty and with the likely trauma you are experiencing there is a good chance that you will forget important details about the accident. Instead of trying to depend on your memory later make notes about what happened as soon as you are able. These notes can decide your personal injury case later. You should also get the contact details of any witnesses to the accident. Being aware of the important things to do if you are a victim in a car accident can make the difference in the outcome of your health and personal injury case.